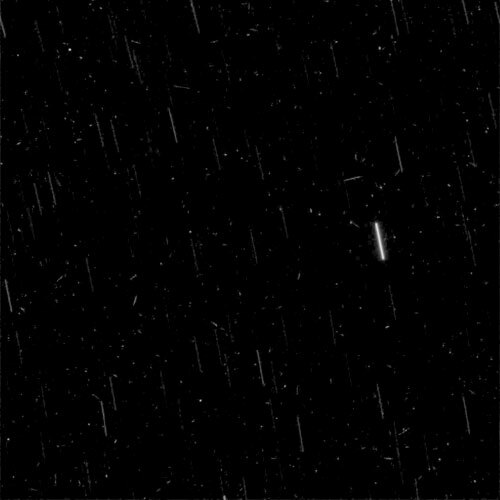 In this five-minute exposure taken from the surface of Mars by NASA's Spirit rover, stars appear as streaks due to the rotation of the planet, and instantaneous cosmic-ray hits appear as points of light. Spirit took the image with its panoramic camera on March 11, 2004, after waking up during the martian night for a communication session with NASA's Mars Global Surveyor orbiter. Other exposures were also taken. The images tested the capabilities of the rover for night-sky observations. Scientists will use the results to aid planning for possible future astronomical observations from Mars. The difference in Mars' rotation, compared to Earth's, gives the star trails in this image a different orientation than they would have in a comparable exposure taken from Earth. 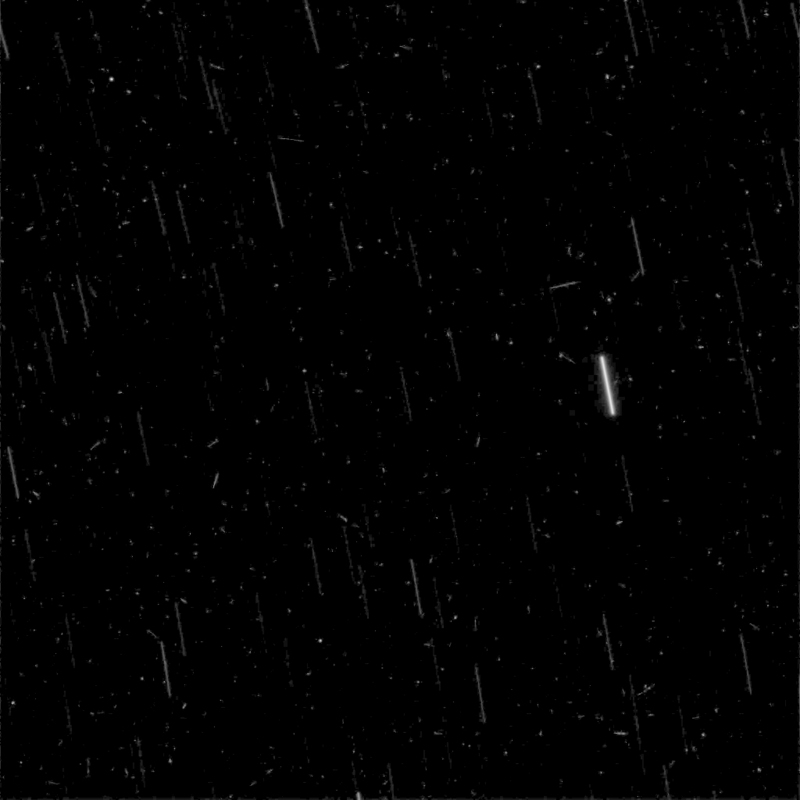 Is it possible that some of the streaks are meteorites or are all of the streaks the same distance indicating stars?